The Star Trek computer doesn’t seem that interesting. They ask it random questions, it thinks for a while. I think we can do better than that. If you have a product that’s really gaining a lot of usage, then it’s probably a good idea. The dream as conceived 25 years ago has not been achieved. Until software becomes the ultimate tool for collaboration, productivity, and efficiency, the work is not done. And there’s nothing more fun than doing that work. Latin America is one of the fastest growing Internet communities in the world. The ultimate search engine… would understand exactly what you mean and give back exactly what you want. The key to these things is making (the entire package) work seamlessly. Our company relies on having the trust of our users and using that information for that benefit. That’s a very strong motivation for us. We’re committed to that. If you start to mandate how products are designed, I think that’s a really bad path to follow. I think instead we should have laws that protect the privacy of data, for example, from government requests and other kinds of requests. We are targeting innovation. We believe mobile applications are essential. We’re trying hard to find user needs that aren’t being met at all. I don’t have a good perspective right now. In a couple of years, I may be blown away by it, but now I’m just involved and worry about it. I don’t want to be too complacent. I worry, but I’ve worried all along. I worried as we got bigger and there were new pressures on the company. It wasn’t so long ago that we were all on one floor. Then we moved to a new, larger office building and were on two floors. We added salespeople. Each change was huge and happened over a very short period of time. I learned you have to pay a lot of attention to any company that’s changing rapidly. When we had about 50 people, we initiated weekly TGIF meetings on Friday afternoons so everyone would know what had happened during the week. But those meetings have broken down because we now have too many people, about 1,000, including many who work in different time zones. We try to have a summation of the week’s work via e-mail, but it’s not the same. When you grow, you continually have to invent new processes. We’ve done a pretty good job keeping up, but it’s an ongoing challenge. We think a lot about how to maintain our culture and the fun elements. I don’t know if other companies care as much about those things as we do. We spent a lot of time getting our offices right. We think it’s important to have a high density of people. People are packed together everywhere. We all share offices. We like this set of buildings because it’s more like a densely packed university campus than a typical suburban office park. The dot-com period was difficult for us. We were dismayed in that climate. We knew a lot of things people were doing weren’t sustainable, and that made it hard for us to operate. We couldn’t get good people for reasonable prices. We couldn’t get office space. It was a hypercompetitive time. We had the opportunity to invest in 100 or more companies and didn’t invest in any of them. I guess we lost a lot of money in the short term—but not in the long term. We think we’re an important company, and we’re dedicated to doing this over the long term. We like being independent. We’re also working to set up a Google foundation that will have even broader initiatives. The “Be good” concept also comes up when we design our products. We want them to have positive social effects. For example, we just released Gmail, a free e-mail service. We said, “We will not hold your e-mail hostage.” We will make it possible for you to get your e-mail out of Gmail if you ever want to. We built a business on the opposite message. We want you to come to Google and quickly find what you want. Then we’re happy to send you to the other sites. In fact, that’s the point. The portal strategy tries to own all of the information. In general we’re trying to use the web’s self-organizing properties to decide which things to present. We don’t want to be in the position of having to decide these things. We take the responsibility seriously. People depend on us. Pretty early on I saw a newspaper story about Googling dates. People were checking out who they were dating by Googling them. I think it’s a tremendous responsibility. If you think everybody is relying on us for information, you understand the responsibility. That’s mostly what I feel. You have to take that very seriously. We hear surprising stories all the time. The amazing thing is that we’re part of people’s daily lives, like brushing their teeth. It’s just something they do throughout the day while working, buying things, deciding what to do after work and much more. Google has been accepted as part of people’s lives. It’s quite remarkable. Most people spend most of their time getting information, so maybe it’s not a complete surprise that Google is successful. The increasing volume of information is just more opportunity to build better answers to questions. The more information you have, the better. Basically, our goal is to organize the world’s information and to make it universally accessible and useful. That’s our mission. When we started, we had about 30 million Web pages, which was quite large for the time — that was two years ago. Now, we have well over a billion Web pages. So that gives you some idea of how we’ve grown in content. So we try to make more and more stuff available to people, we try to, when you come to Google, fulfill that need that you have as quickly as possible. We try to make it better and better every day. We have about 40 PhDs in computer science who make Google better, and a whole bunch of other technical people. So we’re really investing to improve the search engine, and that has really paid off. We’re serving over 70 million searches every day. About half of that is on Google.com and half is through about 100 customers spread in 30 different countries. That’s customers like Yahoo! and Netscape and so on. Actually, I encouraged him to start eGroups, and he encouraged me to start Google. So we both owe each other a lot. But anyway, there was a company, there was a product that a lot of people were using. And on the Web, that’s really easy to do. I mean, this computer that I bought for them processed over 1 billion e-mail messages. They had a party for the computer recently. But you don’t need a huge company, just a computer and a part-time person. So you don’t need to have a 100-person company to develop that idea. You can do it in your spare time, you can really work on ideas and see if they take off — rather than trying to raise tons of money, millions of dollars for an idea that may or may not work. And once you have the product and people are using it, it’s very easy to raise investment. As we go forward, I hope we’re going to continue to use technology to make really big differences in how people live and work. We believed we could build a better search. We had a simple idea, that not all pages are created equal. Some are more important. To me, this is about preserving history and making it available to everyone. I don’t think it’s a big deal to show opera glasses to someone searching for binoculars that you somehow infer is a woman. But you don’t want to pop up ads for H.I.V. drugs on someone’s page, because you inferred they have H.I.V., when their boss is standing there looking at their computer. It’s clear there’s a lot of room for improvement, there’s no inherent ceiling we’re hitting up on. I didn’t think I would come to this conclusion — but eventually I came to the conclusion that more information is better, even if it is not as full as we would like to see. We will intensify our efforts to build out our infrastructure overseas and to develop products that are tailored to individual markets. We deal with all varieties of information. Somebody’s always upset no matter what we do. We have to make a decision; otherwise there’s a never-ending debate. Some issues are crystal clear. When they’re less clear and opinions differ, sometimes we have to break a tie. For example, we don’t accept ads for hard liquor, but we accept ads for wine. It’s just a personal preference. We don’t allow gun ads, and the gun lobby got upset about that. We don’t try to put our sense of ethics into the search results, but we do when it comes to advertising. We collect input. I think we do a good job of deciding. As I said, we believe that “Don’t be evil” is only half of it. There’s a “Be good” rule also. We have Google grants that give advertising to nonprofit organizations. A couple hundred nonprofits—ranging from the environment to health to education to preventing various kinds of abuse by governments—receive free advertising on Google. Another social good is simply providing a free and powerful communication service to everyone in the world. A schoolchild in Cambodia can have a Gmail account. This one has one gigabyte of storage—200 times more. Before Google, I don’t think people put much effort into the ordering of results. You might get a couple thousand results for a query. We saw that a thousand results weren’t necessarily as useful as 10 good ones. We developed a system that determines the best and most useful websites. We also understood that the problem of finding useful information was expanding as the web expanded. In 1993 and 1994, when Mosaic, the predecessor of Netscape, was launched, a “What’s New” page listed new websites for the month and then, when more began appearing, for the week. At the time, search engineers had to deal with a relative handful of sites, first thousands and then tens of thousands. By the time we deployed our initial commercial version of Google in late 1998, we had 25 million or 30 million pages in our index. Today we have billions—more than 4 billion, in fact. That volume requires a different approach to search technology. We had to solve several problems. One was relevance: How do we determine if a web page relates to what you ask? Next, although many results may be relevant, which are the most relevant and the most useful? That’s something we continue to work hard on. Another important consideration is that the kinds of questions people ask have changed. They have become far more challenging and complex. People’s expectations have grown. They ask for unusual things that have a variety of associated linguistic challenges. We have to deal with all of those situations. We have to consider many other challenges. How do you deal with different words that refer to the same concept? How do you help people find websites in languages they understand? Can we translate pages for them? 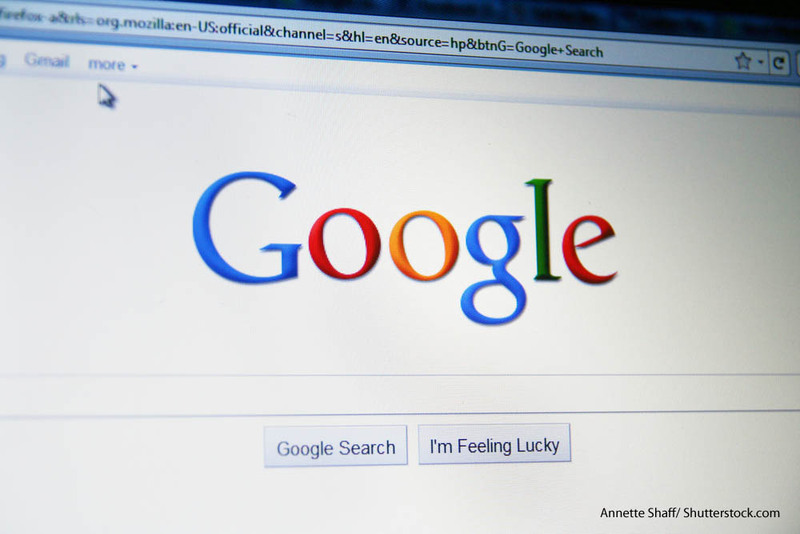 Google is all about getting the right information to people quickly, easily, cheaply—and for free. We serve the world—all countries, at least 100 different languages. It’s a powerful service that most people probably couldn’t have dreamed of 20 years ago. It’s available to the rich, the poor, street children in Cambodia, stock traders on Wall Street—basically everybody. It’s very democratic. One thing that’s important to us is the distinction between advertising and pure search results. We make it clear when something is paid for. Our advertising is off to the side and in a couple of slots across the top. Ads are clearly marked. There’s a clear, large wall between the objective search results and the ads, which have commercial influence. Other search engines don’t necessarily distinguish. Beyond ads, with other search engines, payment affects the results. We think that’s a slippery slope. 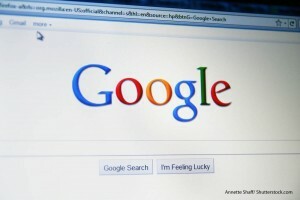 At Google, the search results cannot be bought or paid for. I agree that diversity of sources is a desirable goal, and in fact the results naturally tend to be diverse. We do some simple things to increase the diversity. If you check almost any topic, you will get diverging viewpoints. Everyone on any side of an issue will typically complain, though. Environmentalists will say, “Why aren’t you showing our results first?” An industrial group will say, “Why aren’t you showing our results first?” They all want to be number one. We think it’s good for us to encourage diverse viewpoints, and the search engine presents them. It happens naturally as a response to queries. Sometimes the “Don’t be evil” policy leads to many discussions about what exactly is evil. One thing we know is that people can make better decisions with better information. Google is a useful tool in people’s lives. There are extreme cases, we’re told, when Google has saved people’s lives. When people look up information in a life-threatening situation. Someone wrote that he was having chest pains and wasn’t sure of the cause. He did a Google search, decided he was having a heart attack and called the hospital. He survived and wrote to us. To help in situations like that, Google has to be quick and correct. Other people have written us with similar stories. We get postcards and pictures of them with their family. Those are extremes, but there are countless other examples. People are helped with their careers. Students are helped when they study. It’s a powerful tool. You want access to as much as possible so you can discern what is most relevant and correct. The solution isn’t to limit the information you receive. Ultimately you want to have the entire world’s knowledge connected directly to your mind.